Phonics, Phonics and more Phonics in Owl Class! In Owls this week we have been very busy. We have had an exciting trip to Gainsborough House and we have celebrated World Book Day. 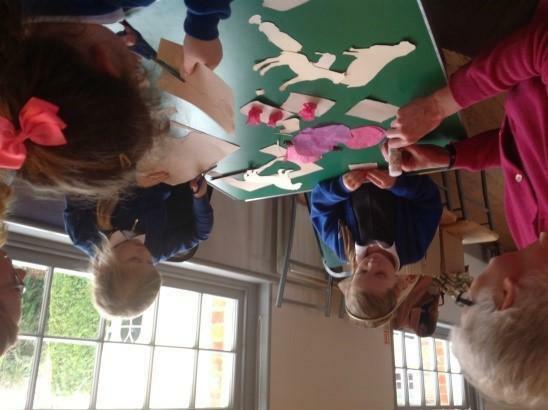 At Gainsborough House we were able to look at the special paintings in the gallery, sketched landscapes, created our very own colour paint pallet from outside materials and we also made a class landscape picture using tissue paper and various other materials. The trip linked with our Art work and our Science topic of materials. 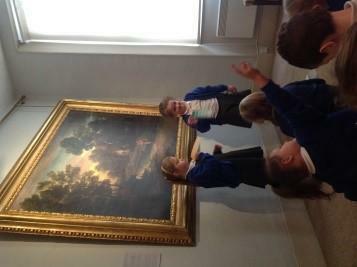 Miss Steward said that we represented Acton very well and we were a credit to the school! We had a lovely time and cannot wait for our next trip! For World Book Day we had an excellent time sharing the wordless story ‘Bee and Me’. We loved discussing the characters and events in the story and writing our own versions of the story. 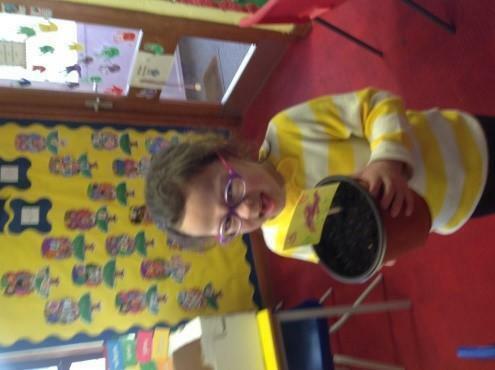 We also completed some creative activities based around the book, including planting some lavender and thinking about friendship. We all looked great in our lovely costumes! Wow, what a busy first week back. 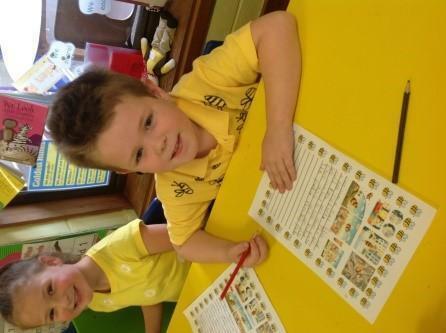 The children have all settled back into school routine very well and it is lovely to see them so keen to learn. This week in maths we have been working on additon and subtraction within 20, using lots of practical resources to help us. In literacy this week we have been verbally re-telling and writing the story ‘The Little Red Hen’. We have been learning actions to go with the story to help us remember how to re-tell it and also we have been acting it out. In Science we have started our new unit of work on everyday materials. We went on a materials hunt to look around our enviornment to see what materials we could find. This week in Owls we have been learning about Remembrance. We have made a poppy wreath and have written about the importance of Remembrance Sunday and the influence it has made on our lives today. Also, this week we have become chefs, making yummy pizzas. 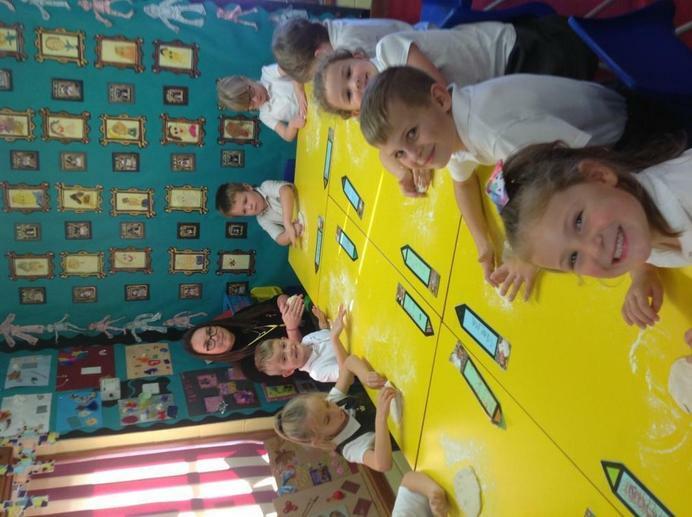 It was great fun making the pizza dough and adding all the yummy toppings! We look forward to writing about how our pizzas tasted! A big thank you to Mrs Fisher for helping us! In maths we have been learning about counting in twos. We have been learning a song to help us remember! It's a skip counting song by 2s. This is designed to help with counting in 2s. Welcome back; I hope you have had a lovely, relaxing summer! I am sure that you and your child are now ready to start the new school year, so welcome to Year One! I am very much looking forward to getting to know you and your child, and I am excited to work alongside you to ensure we have a very enjoyable and productive year. This letter provides some information and will hopefully answer any questions you may have. Phonics Phonics Meeting- Thursday 27th September 3.15pm- children will be supervised on the playground. We would be grateful if you and grandparents could come into talk/show us about your childhood/school days and share some memories with us.........let me know if you are able to join in with our learning. Tuesday 18th September 1.30pm Parents visit. Tuesday 25th September 1.30pm Grandparents visit. 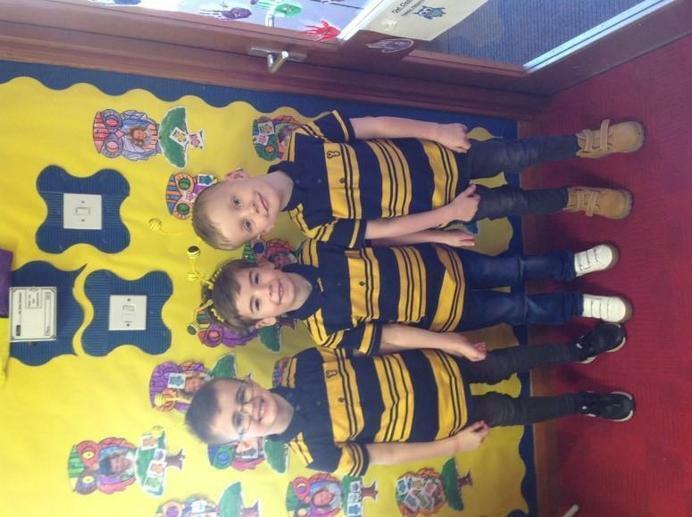 · Now the children are in Year One, we like to promote independence at the beginning of the day. Please help us to do this by dropping your child at the gate in the morning and encouraging a positive start to the day. If your child still needs support to do this independently, please arrange to see Miss O’Neil or myself to support and discuss this matter further. · Please ensure all school uniform/belongings are named. · Show and Tell will take place on a Friday afternoon for half the class; your child will be able to bring in a belonging from home on a two-week rota. (see back of page). · Please ensure PE kit is always in school on Monday as P.E will take place on a Monday afternoon (indoor and outdoor kit please). If you or your child have any worries PLEASE come in to see me. Many thanks for your support.